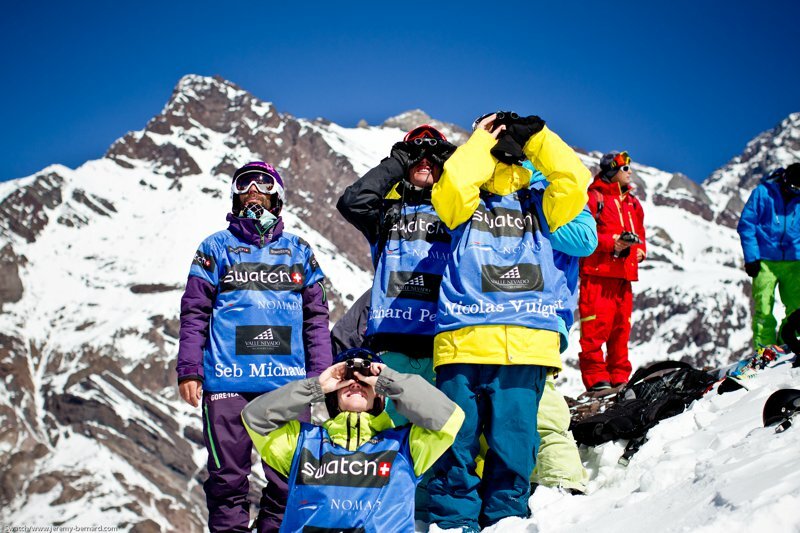 Under a blazing South American sun at 3900 meters, the inaugural Swatch Skiers Cup began in Chile yesterday, as 16 of the world&rsquo;s best freeskiers battled it out in the expansive helicopter-accessed wilderness adjacent to Valle Nevado. 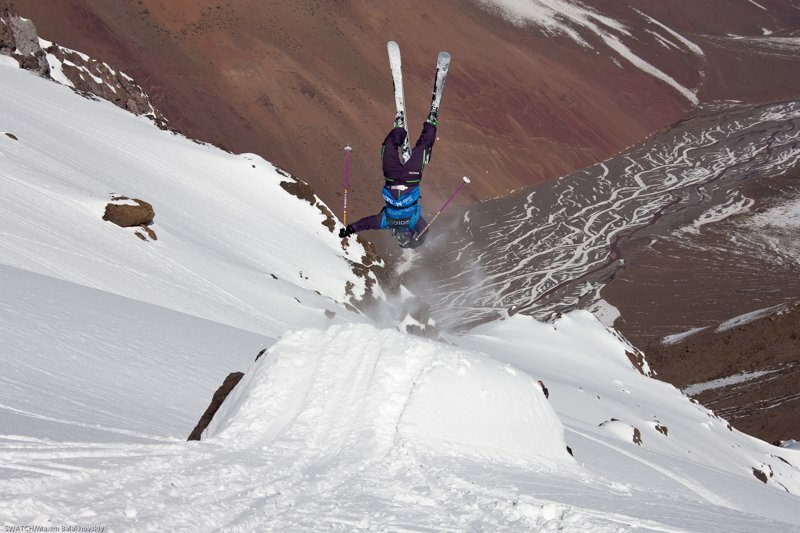 When the powder settled, Team Europe had overwhelmed Team Americas six wins to two in a series of eight man-to-man ski-off's on the big mountain course. 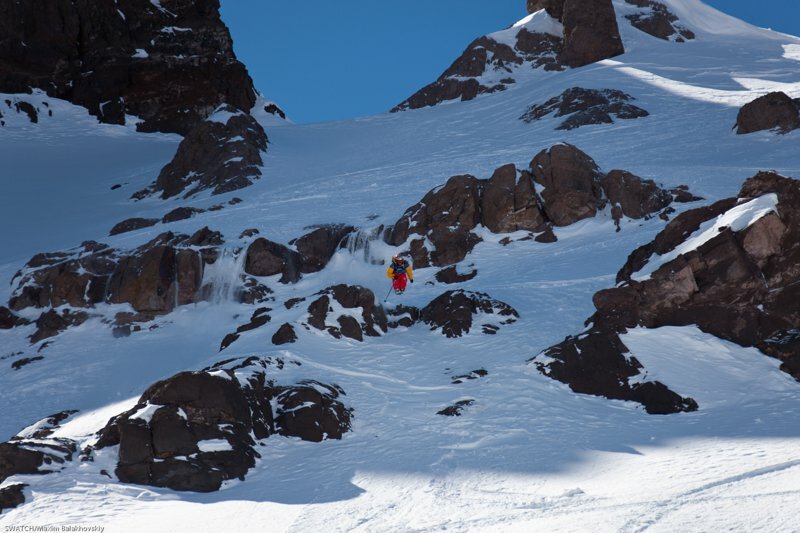 The 28-year-old Chilean Chopo Diaz brought down the house early in the competition, besting France&rsquo;s Seb Michaud with an enormous air towards the top of the venue. 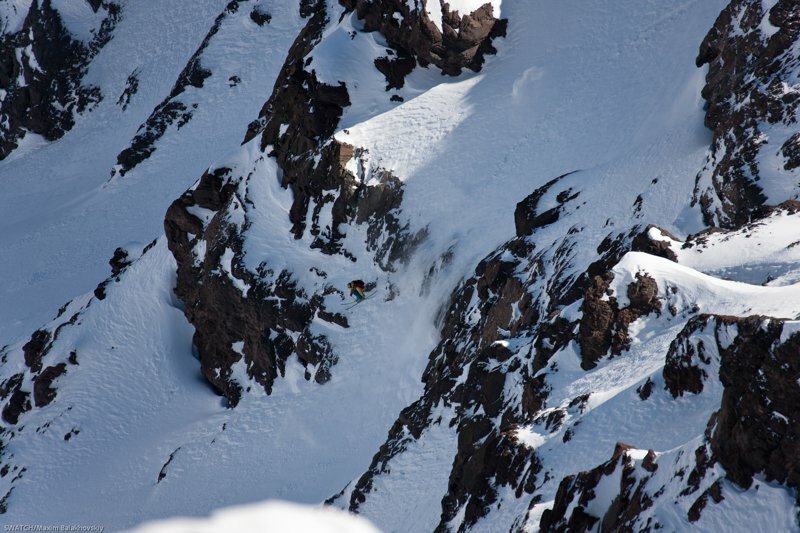 This put Team Americas on the scoreboard, followed by Oakley White-Allen, who gained his team another point during his duel with Australian Chris Booth. 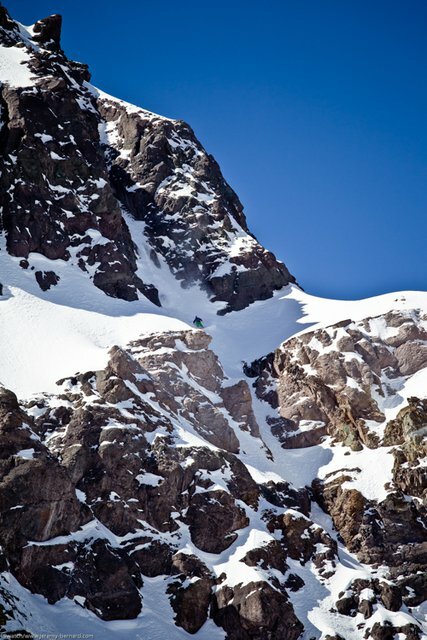 Their glory was short lived, however, as Team Europe would dominate each of the remaining six heats, including standout performances by big mountain powerhouse Henrik Windstedt, whose solid skill shone throughout the 400-meter descent, dropping several cliffs and ousting Canada&rsquo;s James Heim. 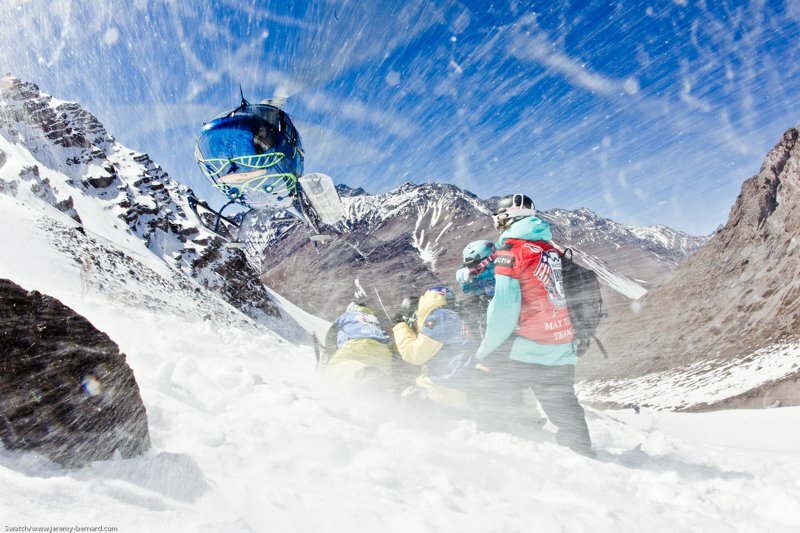 Team Europe would send no better into the fray than Italy&rsquo;s Markus Eder, who defeated Josh Bibby by heading to the skier&rsquo;s left for a line only visible from the helicopter that took him to the start gate. 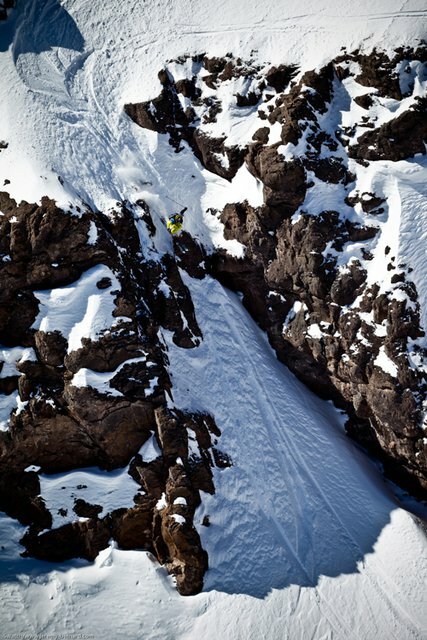 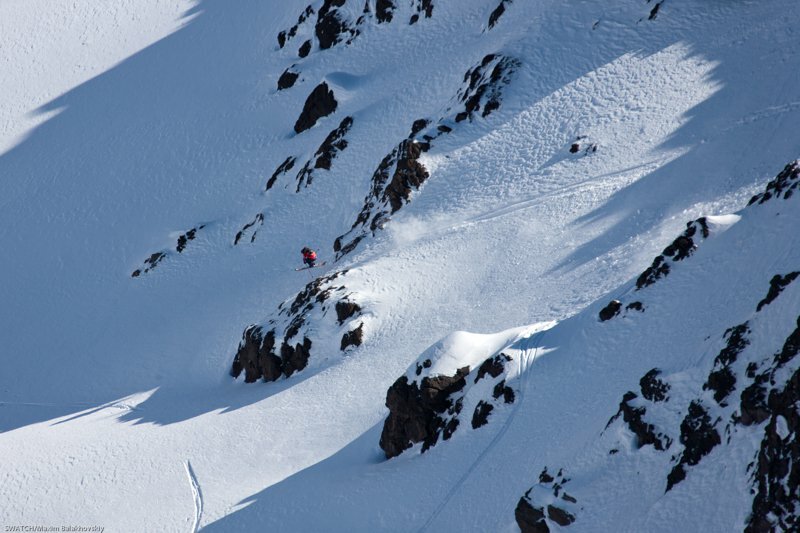 Eder would drop a series of couloirs and 10 to 15-meter cliffs in a high speed charge to the finish. 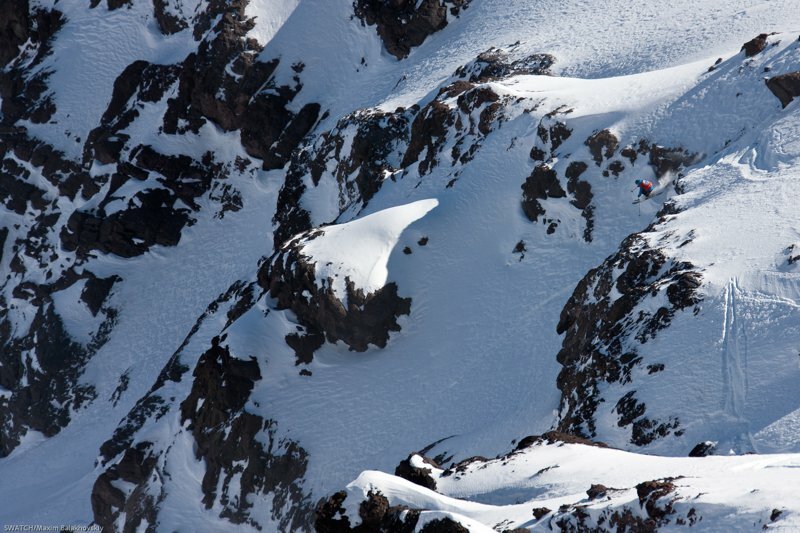 A strong Team Americas contender, Canadian Dana Flahr, was expected to deliver but instead fell attempting a 360 off a 15-meter drop, which left the door open for his rival Kaj Zackrisson (Captain of Team Europe), to give it his all in this high altitude event, storming to victory for the last run of the big mountain portion of the Swatch Skiers Cup. 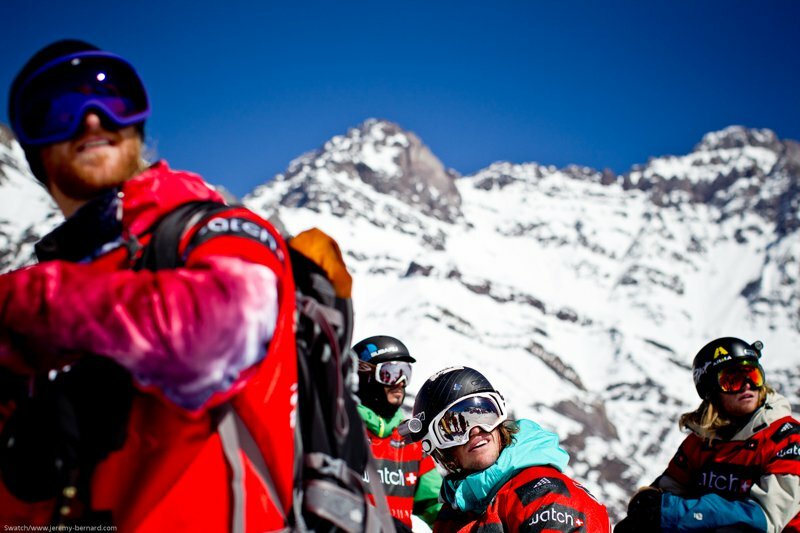 Time restrictions limited the competition to a single round of eight heats as skiers were given time to inspect the features of the 30-35-degree face. 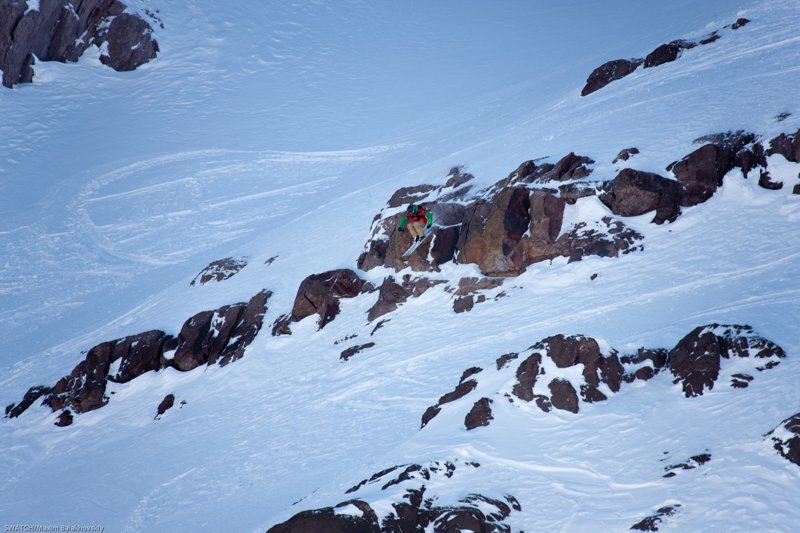 Results from the event will stand as the big mountain results and will be carried over to the backcountry slopestyle portion of the competition. 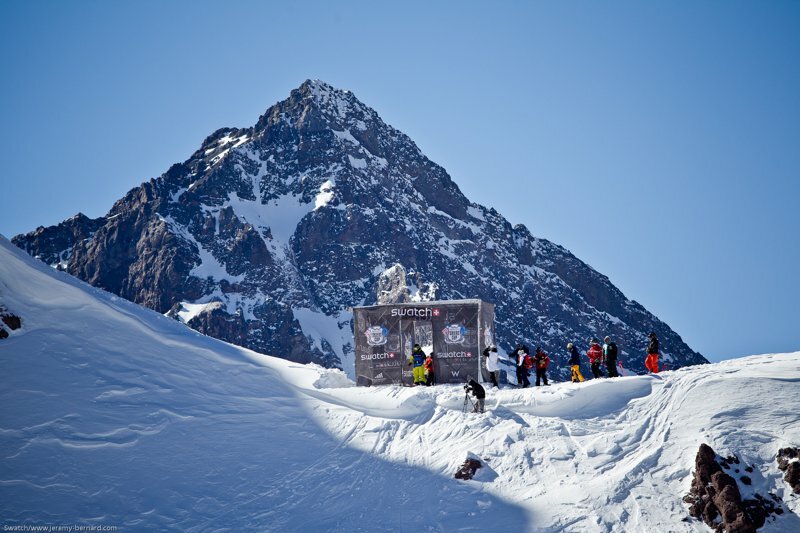 Legendary features shaper David Ny (who has worked with Jon Olsson to create the legendary jumps at JOSS and JOI) has been hard at work sculpting the backcountry slopestyle course for the final day of competition at the Swatch Skiers Cup, which is currently scheduled for this Friday (September 9th). 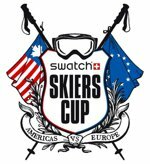 Team Americas, bristling with high-powered freestylers, must now step up to the challenge presented yesterday by Team Europe. 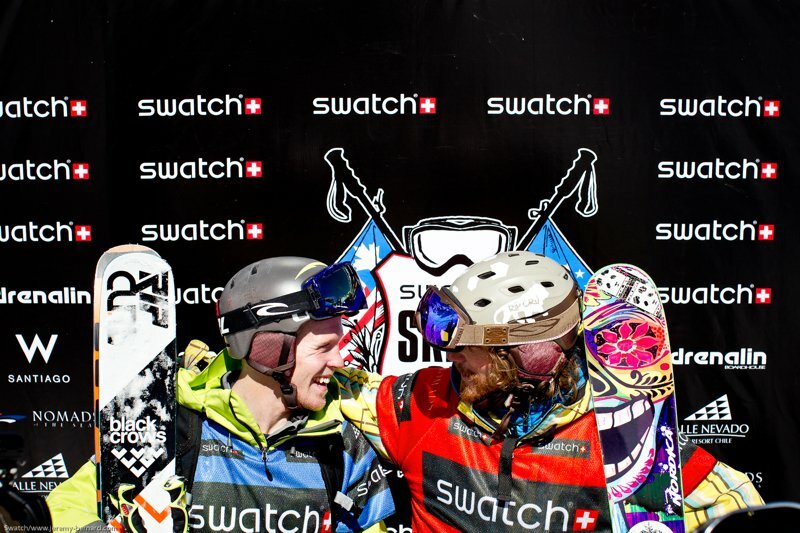 Which team has what it takes to hold aloft the Swatch Skiers Cup? 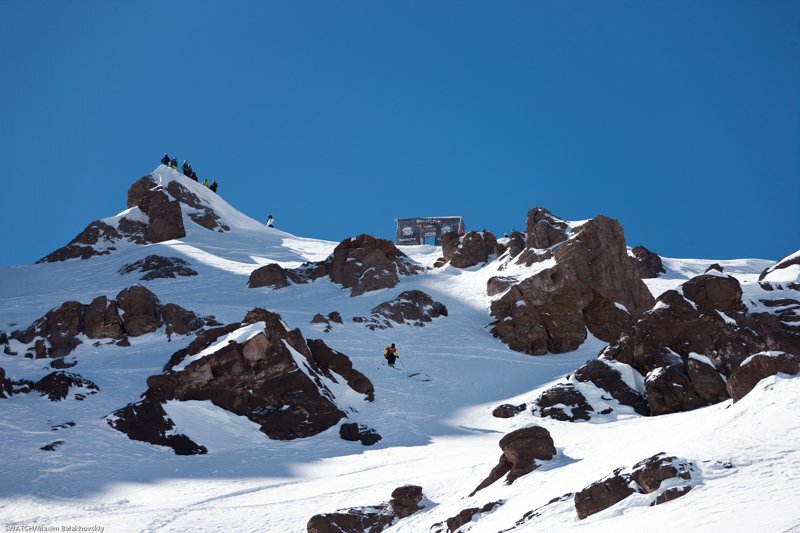 Stay tuned to Newschoolers for more from this amazing new event, including some fun highlights from today's excursion day, where the athletes got their surf on off the west coast of Chile, along with a preview of the backcountry slopestyle course. 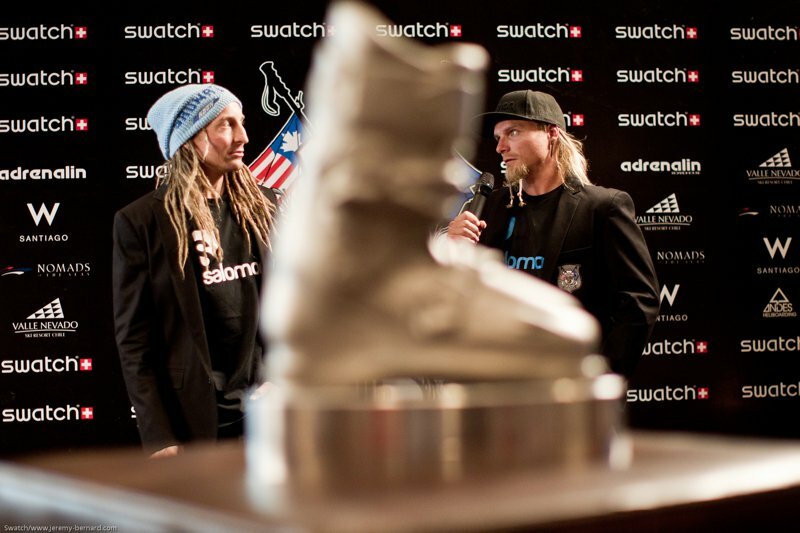 For more information on the Swatch Skiers Cup, check out skierscup.com.